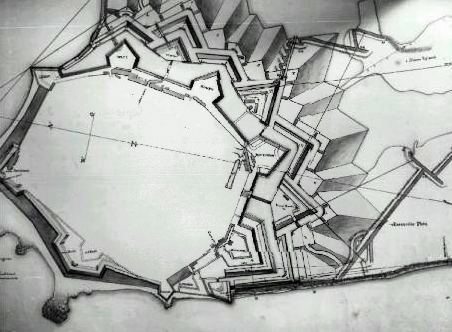 Photograph illustrating the lower right section of a blueprint for the fortification of a fort at Colombo. Held in the Colombo Archives, inventory number COL55TL. # Made by: C.F. Reimer, June 1787. 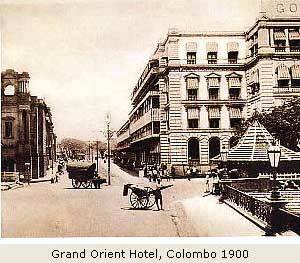 Colombo is an ancient city with a fantastic heritage. A mix of rulers, cultures, and styles have all left their own mark upon the city and given it a vibrant identity which thrills, invigorates, and fascinates. Being extremely strategically situated, and surrounded by ample trading resources (cinnamon being a particular boon to traders), Colombo has long been fought over, won, and jealously guarded by the world’s biggest players. This long history and wealth of experience in international trade and customs has left Colombo at a major advantage in the modern world. 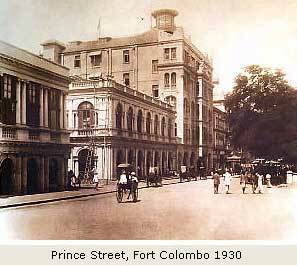 Colombo has been popular with foreign visitors since the dawn of recorded history. It has a natural harbour, which made it a desirable location for traders, explorers, and seafarers. The twelfth century Moroccan explorer Ibn Battuta described Colombo as “the finest and largest city in the Serendib”, and was mightily impressed with its appearance and amenities. Even today, some seven centuries later, modern travellers still flock to the area. Planet Cruise promises that a cruise around Ceylon, taking in Colombo will leave “an imprint on its visitors forever”, and they are quite right. However, the process works both ways. Not only does Colombo make a mental imprint upon its visitors, but the various visitors to Colombo have, in their turn, left a physical and cultural impression upon the city which renders it truly, uniquely beautiful. Portuguese, British, Dutch, Indian, Sinhalese, Buddhist, Islamic, Hindu, and contemporary influences have all left their mark upon the city, resulting in a glorious and colourful blend of cultures which continues to render the city a vibrant and exciting place to visit or conduct business. The first significant foreign incursion came from the Portuguese in 1505. Dom Laurenco de Almeida landed in Ceylon in this year, and opened negotiations with the king of Kotte Parakramabahu VIII. They wished for permission to trade the island’s cinnamon crop, which grew in coastal areas. This was duly granted, and the Portuguese were given the rights to exercise authority over the coastline on a quid pro quo basis, in exchange for guarding said coastline from seaborne invaders. A Portuguese trading post was set up in Colombo – but the Portuguese swiftly began to become heavy handed in their approach. They drove the Muslims from Colombo and built themselves a fort. 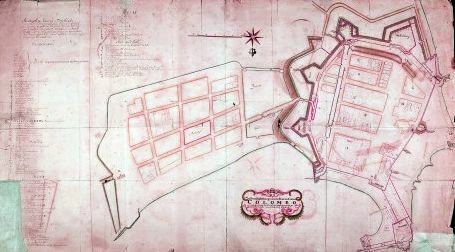 The modern financial district of Fort Colombo is located on and around the site of the old fort, and has been aptly described on this site as “the city’s financial and commercial heart”. The situation was much the same when the district was a military fortress – only the tactics were rather more oppressive. It did not take the Portuguese long to decide that control of Ceylon as a whole would be much to their advantage, and as such they began a campaign of Machiavellian manipulation within Kotte royal circles. A quiet word dropped in this ear, a lie woven around that – it did not take much to make the already faction-riven Kotte dynasty implode in a mass of infighting. The Portuguese took advantage of this royal turmoil to extend their territory. However, they were not the only ones to do so. The Sinhalese king Mayadunne – a confirmed enemy of the ruling Kotte - also stepped into the breach. He brought his borders out to encompass much of the formerly Kotte territory – driving the Portuguese back in the process. Neither the Portuguese nor the Kotte were pleased about this. As the Lanka Sunday Times reports, part of the original deal with the Portuguese had been to “help…to get back all the lands forcibly acquired by Mayadunne, the King of Sitawaka”. However, Maydaunne and his successors managed to keep the Portuguese at bay until 1593 – when the kingdom fell and the Portuguese swept through Ceylon, establishing Colombo as their capital. Over the course of the next hundred years, the Portuguese in Ceylon steadily lost ground and influence to the Dutch. The Dutch had major interests in the area on account of the Dutch East India Company – described by Jean-Paul Rodrigue in his book The Geography of Transport Systems as “the first true multinational corporation”. Initially, much as the Portuguese had been invited into Ceylon to help defend the island against invaders, the Dutch were encouraged to trade exclusively in the area in exchange for assistance against the Portuguese by King Rajasinha II of Kandy. 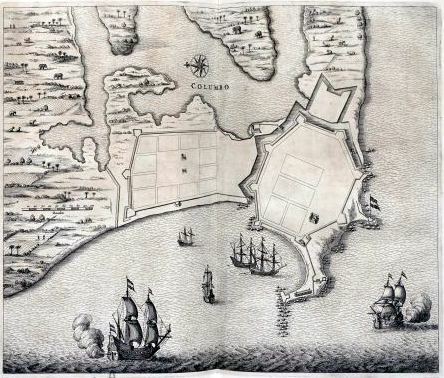 In 1656, the Dutch captured Colombo – and, to the surprise of nobody in hindsight, refused to return it to the Sinhalese. 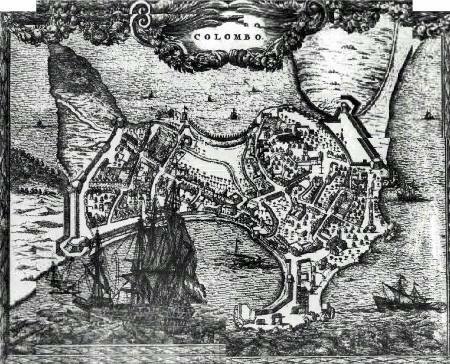 Colombo continued to be the capital of the Dutch East India Company’s maritime and commercial interests in the East until the British came along in 1796. In 1796, the British captured Colombo, and used it as a strategically important military outpost until 1815 – when the Kandyan Kingdom was relinquished to them. At this, the British established Ceylon as the colony of British Ceylon. Although Ceylon changed its name when freed from British rule in 1948, many institutions – the “Bank of Ceylon”, for example – continue to use the name. 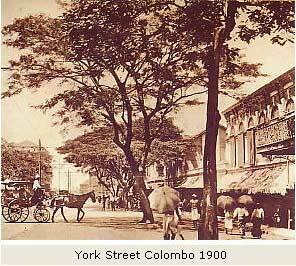 Unlike their fellow European predecessors, the British set about establishing Colombo as a major city with residential and commercial as well as military resources. It is to this period that Colombo owes much of its historic architecture and infrastructure – although, alas, the old fort built by the Portuguese all those centuries ago was destroyed in the process. The next major upheaval for Colombo came when Ceylon gained independence from Britain in 1948. This precipitated a major cultural and political shift in Colombo’s self-view and mode of operation. While independence is undoubtedly a good thing in the long term, it did nonetheless provoke an awful lot of cross-cultural wrangling, disagreement, and even violence as cultures, released from the British yoke, jostled for supremacy and a voice in the new Ceylon. As the Asian Tribune points out, Ceylon has a great deal of “internal diversity” culturally. 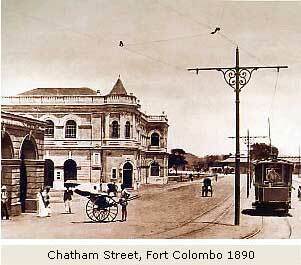 However, while the early years were bumpy, this diversity is now settling into a vibrant and thrilling pattern which gives Colombo a unique international identity. 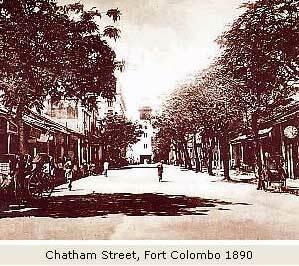 The island’s economy has strengthened, thanks in no small measure to the financial dealings of Colombo. 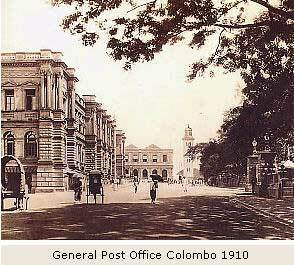 Although Colombo ceased to be the political capital of Ceylon in the eighties, it remains very much the undisputed commercial capital of the island, and continues to attract international trade and tourism on a vast and exciting scale.